The small hut at a classified location where the Hero BlueStapler was born. 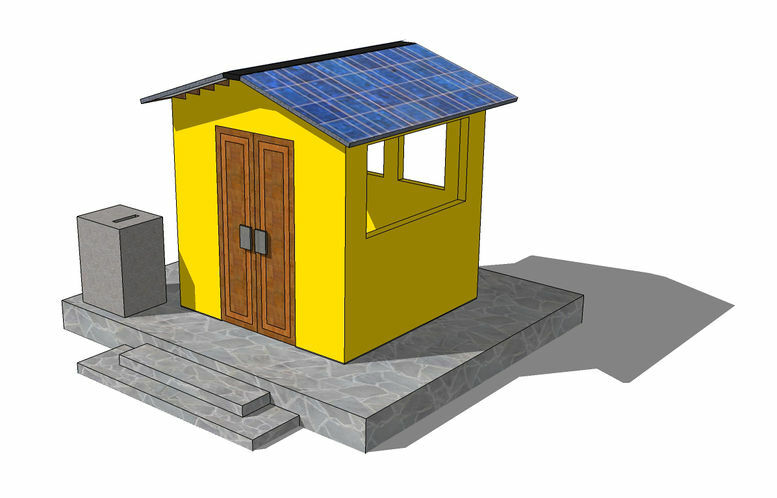 Notice the solar-powered darkness absorber on the left side of the hut. BlueStapler (born August 30, 2011 / Day 478 g.e.) is the champion of the God BlueStapler and the 522nd member of the Knights who say Ni. He is a former Hierarch of the Blue Feather Guild and a a former Cardinal of the Masters of Earth and Heaven guild. 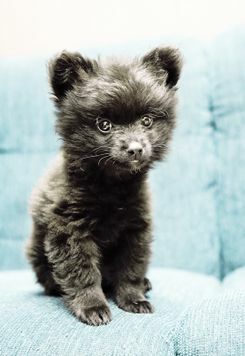 He is also the seventeen generation of the Phthalocyanine Spectrum. BlueStapler is formally styled as Blue of House Stapler, the First of His Name, Keeper of the Wiki, Publisher of The Garlic, Guardian of Eagles, Defender of the Faith, Warden of the Twenty-Fifth Forty-Seventh Temple, Honored Enhancement Room Frequenter, Famous Hero of Godville, Captain of the Eightieth Ark, and Protector of the Realm. While initial reports have indicated that he was named after his god, further evidence suggests that he was simply named after a document attachment device and the color green not being available. The location of the Hero BlueStapler's birth remains classified--G.I. Joe style. Members of the conservative party have questioned BlueStapler's birth stating that he was not born in Godville, though no evidence to the contrary has arisen. On Day 525 g.e., a photograph of BlueStapler's birth location surfaced. Many photography experts have attempted to determine the photograph's precise location without success. A sculptor’s artistic rendition of the Hero BlueStapler’s jet pack. In October 2011, the Hero BlueStapler attempted to build a jet pack to compensate for his complete lack of transportation skills. He boasted that, when completed, the jet pack could transport him faster than a level 50 Solar Bear. Moreover, that the jet pack would use environmentally friendly materials, run entirely off water, and be Godville's first zero emission mechanical flying machine. Skeptics questioned whether such a device could be built, but environmental groups hailed the effort saying that "no longer will our land be plagued by the harmful methane gasses of pets." Over 7,000 people gather for the first public demonstration of the jet pack. After much fanfare and speeches, BlueStapler put the pack on, pressed the ignition button and . . . the crowd gasped in horror. Media outlets and the magazine Scientific Godville dubbed the jet pack a complete and utter failure. Never before has such a device promised so much and delivered the complete opposite. "BlueStapler is ruined" news stations stated. Three days later, documents in the Godville Patent and Trademark Office revealed that the purpose of the jet pack was "a device designed to smack the user's face into the ground at the most inopportune time." Following that release, the jet pack was later designated an absolute success. The early hours of the half party. 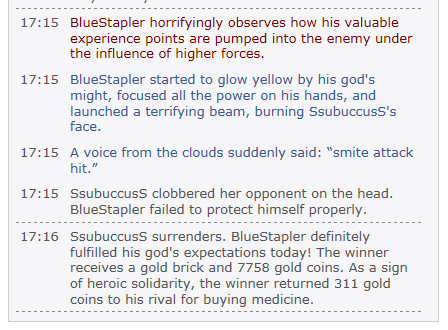 On April 28, 2012, the Hero BlueStapler hosted a half party commemorating the 50% completion of his temple. The party was held on his temple grounds in violation of established Godville law. 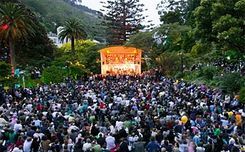 Although the hero BlueStapler's chronicles document that "one in two Godville citizens appeared" (an amount equal to 500,000), experts estimated attendance at between 25,000 and 35,000. Godville police were called to the disturbance four times throughout the night and fifteen people were taken to the Godville Memorial Hospital. The next morning, insurance adjusters documented that the left side of the temple had completely melted from the constant stream of lightning bolts. The invoice from the Blue Feather Beer Company indicated that no less than 11,458 gallons of beer had been consumed. A play based upon the party sold out a record seventy-four straight showings at the Grawman Theater in Godvillewood. 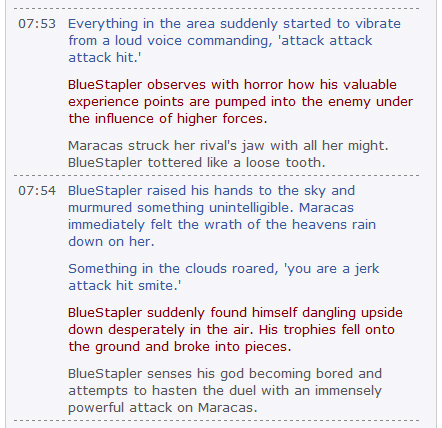 On June 1, 2012, the Hero BlueStapler changed his motto to As Inappropriate. At some point in the following seven days, it was changed to Removed Per Godville TOS. To date, no one, including the Godville Administrator, has come forward as the entity responsible for making the change. On June 18, 2012, the Godville Administrator was quote with saying "Although our policy is that it is every citizen's duty to report a motto as inappropriate, no one in this administration received any reports regarding BlueStapler's motto, nor do our records indicate that we changed BlueStapler's motto at any time." On August 15, 2012, the Godville Police Department officially closed the case. An underground network of heroes has reportedly threatened to stage a flashmob to "free BlueStapler's motto," but, to date, no flashmobs have been reported. The solar boar resurrection statue resides outside BlueStapler's completed temple. On August 25, 2012, the Hero BlueStapler successfully managed to convince the priests to heal his level 15 solar bear named Dogmeat. To commemorate this momentous occasion, he commissioned a sculptor 9,532 coins to make a statue of the priest performing the resurrection ritual. 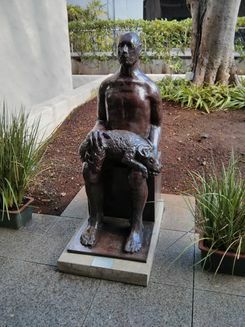 The sculpting instructions called for a depiction of a priest sitting down resurrecting the solar bear Dogmeat. Upon the Hero BlueStapler’s return to the sculptor’s shop, he discovered a sculpture of a priest healing a solar boar. BlueStapler was livid, “what the heck is a solar boar?” he asked. “What am I supposed to do this statue? BlueStapler asked. “Tie it to your solar bear and drag it back to your temple.” The sculptor responded. On June 28, 2012, BlueStapler tamed Dogmeat. He was just about darn near the cutest thing ever. What happened? BlueStapler riding Dogmeat back to town. On January 30, 2013, BlueStapler became the first god to have been personally named in the questionable content section of the ideabox. 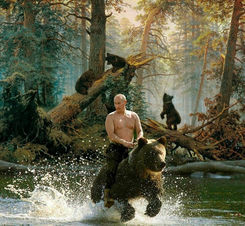 Paparazzi from as far away as Russian Godville surrounded BlueStapler’s temple and began asking questions. Reporters from the five major new stations, the Godville Times, and The Garlic appeared. The event was headline news for an entire week. For months, BlueStapler accepted various offers from the major movie studios for the film rights. On February 11, 2013, BlueStapler left the cryptic message "Peach Out, Home Brains" in the BlueFeather Guild Council, changed his motto to the same message, and joined the Knights who say Ni guild. Cryptologist, scholars, and persons of great intelligence from across the land gathered to determine the meaning of the indecipherable phrase. "How does one peach out a home brain?" and "What does peach out mean and more importantly, what is a home brain" scholars asked. Upon thirty days of vigorous debate, the consensus of the group what that BlueStapler had heard the common phrase "Peace Out, Hombres" (roughly translated as "Goodbye Guys") and, in attempt to be hip, incorrectly repeated it. Use Exactly 1,000 Gold Bricks – The temple must use 1000 gold bricks, no more, no less. Gold bricks cannot be used for adornment. Gold bricks must be fixtures, not chattel. No Cutting Gold Bricks - Gold Bricks cannot be cut. Every gold brick must be placed whole. The temple requirements are 1000 gold bricks, not 950 gold bricks and 100 half gold bricks. Stacking is OK – Due to the nature of golden bricks, stacking bricks directly on top of each other does not provide less structural stability than staggering gold bricks. This attribute arises due to requirement #2. Doors and Doorways Required - The temple must have at least two doors. The diary entries of other heroes who have completed a temple say ". . . opened all the doors . . ." This means there shall be at least one doorway with two doors or two doorways. Instead of using one big door over a single doorway, the temple may use two skinnier doors for that doorway to account for the "doors" requirement. The hero may wish to split a door in two to keep symmetry. Doors do not have to be made out of gold bricks. Rooms – The temple shall have at least two rooms. The diary entries of other heroes who have completed a temple say ". . . swept all the rooms . . ." This means there shall be more than one room. However, as with most construction involving bricks, the interior walls of a temple need not be made out of golden bricks. Accordingly, there is no need to use gold bricks to divide the temple into rooms, though the hero may choose to do so. 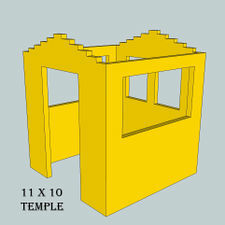 Cube Dimensions Required - The temple shall be a cube (meaning: to the nearest whole gold brick), ignoring the gable. (A gable is the triangular portion of a wall between the edges of a sloping roof, just google it.) Therefore, the length and width of each face shall be the same and the height shall be the same as the width (to the nearest gold brick). The gable (since it is a triangle) can be ignored for purposes of calculating the cube. Symmetry Required - In keeping with the spirit of the cube, the temple is also to be symmetrical. From an exterior view, the right side of the temple shall be a mirror image of the left side (cutting the temple in half produces two pieces in mirror image of each other). Additionally, each face (the front, back, left, and right) shall also be symmetrical. See also requirements #4 and #10. Each gold brick is 230 mm x 76 mm x 110 mm - The wiki temple page says 230 cm x 7.6 cm, but does not list the third dimension. Since a standard Australian Brick is 230 mm x 76 mm x 110 mm, the hero shall assume the third dimension of a gold brick is also 110 mm. Moreover, the standard Australian brick is the only "standard" brick that fits the first two given dimensional parameters. Alternatively, we could assume that brick measurements have the following ratio: 6 x 3 x 2. Roof and Ceiling – The hero may construct the roof, ceiling, and floor from materials other than gold bricks. Brick roofs and brick ceilings are ugly, though the hero is free to use gold bricks in any of those locations if desired. Windows Optional – Windows are optional. Pilgrims and priests generally don't enjoy praying in the dark. The Hero should also be energy conscious. If a temple has windows, those windows must follow the symmetry rule; if there are two windows on the right side, there must be two identical windows on the other side. Additionally, since each face must be symmetrical, a single window must be in the middle of that face. Gable Must Be Made of Gold Bricks – Gables are optional; the temple may have a flat roof. If gables are used, they shall be made out of gold bricks. Brick buildings with gables generally have gables made out of bricks; otherwise it would look weird. Windows may be placed in gables. Installing a window in only the front or back gable does not violate the symmetry rule because the entire left side of the temple will be the same as the entire right and each face will still be symmetrical. Aesthetics – The Heroes shall take aesthetics into account. Nobody wants an ugly temple. In other words, do not design a temple with over sized or undersized windows or doors. The sides are 10 gold bricks wide. The height of the temple on the sides is 33 gold bricks. The side walls are assembled such that the 110 mm side touches the 230 mm side of the front face bricks. The side windows are each 8 gold bricks wide by 13 gold bricks tall. Each side has one window. The back of the temple has two windows 3 gold bricks wide and 13 gold bricks tall. Please ignore what I previously wrote about the back wall. The doorway is in the middle of the front face and is 30 gold bricks tall by 5 bricks gold wide. The doorway shall be split and be covered by two doors: one with hinges on the left and one with hinges on the right. Dungeons: At the time of ark completion, my hero was 44% of the way to the Honored Raider achievement, which means he had successfully raided 440 to 449 dungeons. Some dungeons did not yield a log and some yielded two, so I figured those just balanced each other out and about 440 logs came from dungeons. Epic Quests: On September 27, 2013 my hero was on quest number 1119 and had 1.0% logs. This is the best information I have about my hero’s quest number status near the time of September 21, 2013 (the date arks and gopher wood were introduced). On the date of ark completion, my hero finished quest number 1760. Accordingly, my hero completed 33 expected epic quests. Accounting for the unexpected epic quests giving extra logs and some of the expected epic quests giving only six logs, I just assumed that the 33 expected epic quests each gave seven logs to assume that about 230 logs came from epic quests. Activateable artifacts: This is the only number for which I am certain. Two golden pumpkins yielded two logs. Temple Donations: I assume that the remainder of logs came from temple donations, or about 330 logs. Don't worry about alignment. Alignment is easy to change, but loses are permanent. Give a heal, attack, or defend type of voice command every round. Give a punish or encourage every round. Never use a miracle or give a pray or sacrifice voice command. If you need godpower, use a charge. Start every round with at least 30% god power so you can give one voice command and one action (an encourage or a punish). This includes what may appear to be the last round. Even if it looks like a hero is about to die, use a charge to get at least 30% godpower the next round. The opponent hero may heal and if there is not enough godpower for a proper attack, the hero may heal again and reach full health. Play on a computer so you can see more of the fight and to make typing easier. It will also be easier to see patterns in your opponent's actions this way. If your opponent is AFK, try to win the fight as quickly as possible. The longer the fight, the greater the chance the other god may return. Learn to guess backfires. If a backfire hasn't happened for four rounds, one is probably due. For purposes of brevity, and because Godville no longer has skirmishes, I removed this section. However, the information is still accessible through a previous version of this page here. What is a Miraca Ho? Thanks for asking. A miraca ho is someone who uses one or more miracles during an arena fight or a skirmish. 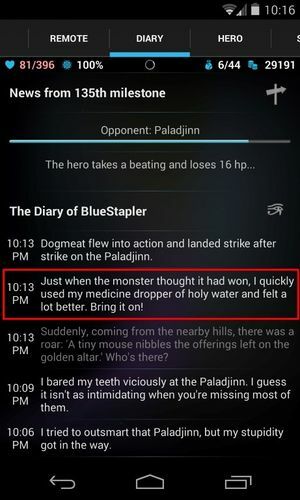 Using a miracle during a fight is rude, socially unacceptable, and bad form. It also really pisses people off. Xzzwxz calls them b-holes, but that's rather uncreative. I call them miraca ho's, which is short for miracle horrible. 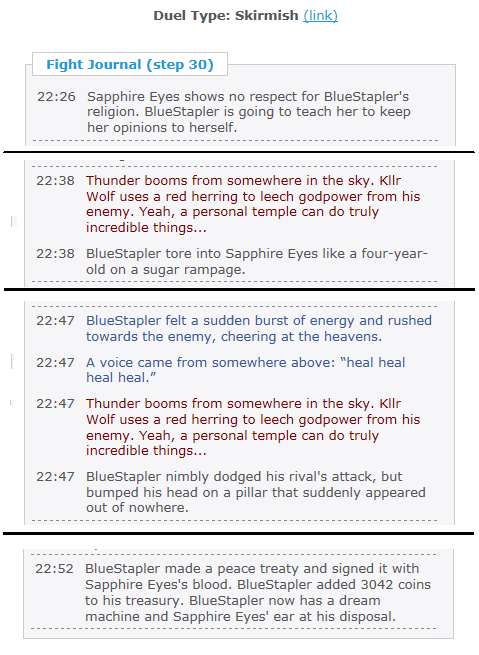 On February 19, 2013, Kllr Wolf 庙 used TWO miracles during a skirmish and still lost. He is a miraca ho. On March 20, 2013, SselluosS 庙 used a miracle during an arena fight and still lost. He is a miraca ho. On January 6, 2014, Catsocks 庙 used TWO miracles during a skirmish and still lost. She is a miraca ho. 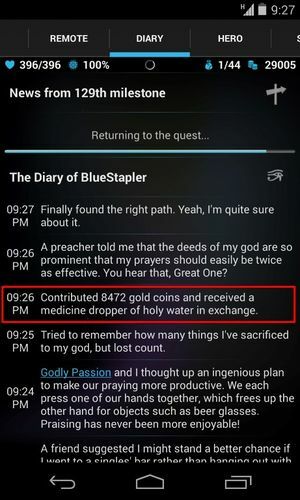 Diary 45 11 4.09 2013-02 I could have spent more than %gold% on healing potions, but I saved some money for the love potions on the next shelf. The effects of those sound really promising! Diary 53 47 1.13 2012-07 My quest to %quest% was a complete success. Got a slightly tarnished golden brick as a reward. I think I will use this brick in the back corner of my temple. Diary 94 19 4.95 2013-11 Just remembered that I had a homework assignment to start a fight with a total stranger. Diary 106 11 9.64 2014-02 Used curiosity as my compass. After that, everything went south. Diary 82 24 3.42 2014-02 Fun fact %rg% 6 out of 7 dwarfs are not Happy. Diary 92 16 5.75 2014-02 %random_friend% poured a cooler of sports drink on me and yelled “Congratulations on the crossword win.” I hope this new aura of %v% prevents my equipment from rusting. Diary 99 16 6.19 2014-07 A little girl said “%hero_name%, you're my hero.” What? Now I have to answer to her too? Duels 86 12 7.17 2013-12 The boss turns the music up to eleven to deafen down the voice command. Dungeons 33 26 1.27 2013-10 Sharks with laser beams swim out of the walls and injure the heroes. Dungeons 76 13 5.85 2014-02 This room’s motif was obviously inspired by a castle basement. Dungeons 57 21 2.71 2014-02 Hinternet access in this room reveals that the treasure is %dir%. Dungeons 81 9 9.00 2014-02 Those who missed the plunder are marked with ridiculous fake mustaches and dragged to the surface. Dungeons 88 13 6.77 2014-09 An ancient and powerful force has filled every inch of this room, except for a small spot in the corner. Dungeons 83 26 3.19 2015-02 This room is on fire and so are the heroes. Dungeons 60 35 1.71 2015-02 The future shining from %dir% is so bright, the heroes gotta wear shades. Dungeons 83 16 5.19 2015-02 The heroes burst into tears upon seeing the abandoned brewery in this room. Dungeons 77 23 3.35 2015-02 Millions of toothpicks all point %dir%. Dungeons 83 13 6.38 2015-08 %random_attacker% carefully avoids every puddle, but trips over a “Caution Wet Floor” sign. Wanted - - - 2015-02 The %monster% is wanted for painting all the lemons in town orange. Wanted - - - 2015-02 The %monster% is wanted for secretly switching the push and pull signs on every door in town. Wanted - - - 2015-02 The %monster% is wanted for removing mattress tags. Wanted - - - 2015-02 The %monster% is wanted for replacing all the eye drops in the Godville General Store with chili pepper sauce. On November 26, 2013. 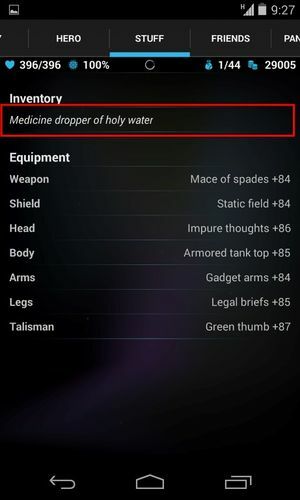 BlueStapler bought the most expensive Medicine dropper of holy water of all time. This page was last edited on 15 March 2019, at 01:02.